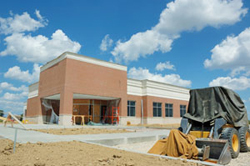 Light and Wooten Construction offer a wide variety of commercial construction project delivery methods. We are skilled at working with owners to cultivate the project you need, according to your specifications. We excel at keeping your business in operation as your project is being completed. If you are interested in our commercial construction services, please Contact Us for a Free Estimate.